The beauty of the blockchain is that it is open to anyone and there is no company or organization in control of it. Nobody has an “admin account” on the blockchain. The whole system is peer-to-peer, and (open source) computer code — not people — determine the rules for participation. The code only cares that you are following protocol, not who you are or what you are doing. It’s completely objective. The blockchain “lives” on an open network that anyone running the software can join. 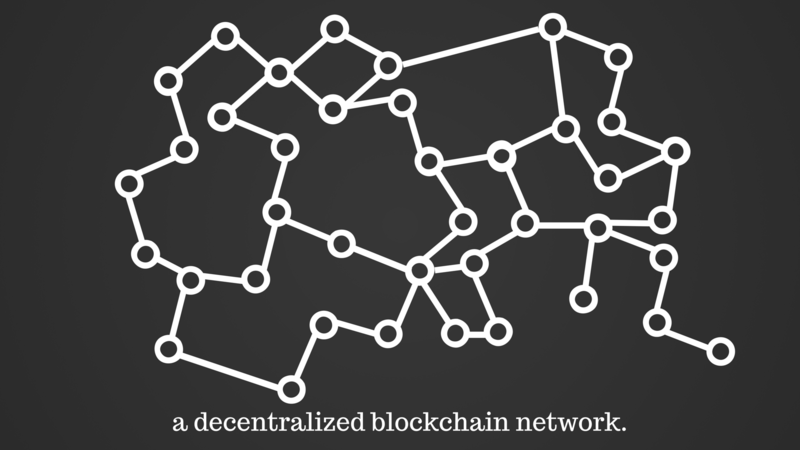 Every member of the network is required to have an exact copy of every record on the blockchain, effectively replicating data over tens or hundreds of thousands of computers and eliminating the possibility of a single point of failure. All data on the blockchain is by definition public. That doesn’t mean it can’t be posted in an encrypted way, but anyone is able to download the entire blockchain just by opening the software on their computer. There are also plenty of websites (such as blockchain.info) called “block explorers” that allow you to look up the data on the blockchain without downloading it yourself. Once data is posted on to the blockchain it is there forever. It cannot be deleted or changed by anyone. Blockchain records are also timestamped and signed, so it is possible to prove the source of data as well as the date/time when the data was uploaded. Just like the data itself can’t be deleted or changed, the timestamp cannot be spoofed either. And due to the decentralized nature of blockchains, everything is replicated tens of thousands of times over, distributed on computers all over the world, virtually guaranteeing against data loss. The system described above — blockchain — is currently most widely used for financial transactions with Bitcoin. But just because the blockchain allows Bitcoin to operate as a decentralized digital currency does not mean digital currency is the primary or only application of the blockchain. The Economist called it “the trust machine” and they are absolutely correct. The blockchain is all about trust. But trust in what, exactly? Not people. Rather, it’s about trusting the blockchain to do exactly as it says it does. Trust that the records in the blockchain have not been tampered with. That there are no hidden records. In the case of Bitcoin, trust that if the blockchain says you’ve received a payment, you have received said payment. In terms of elections, trust that the data entered right as the polls close cannot be changed later. Why would you trust it? Because it’s open source. If you can read computer code, you can inspect it yourself. Or you can trust the opinion of all the computer scientists from Berkeley to MIT that have looked it over and deemed it rock solid. Of course, the blockchain still adheres to “GIGO” — garbage in, garbage out. Blockchain records may have some nice security features — its the modern day equivalent of ‘set in stone’ — but that doesn’t mean they are true. You still have to trust the source of the data. That’s why we at Blockchain Technologies Corp. are building a voting machine that is as transparent as possible, from the hardware to the software, nothing is a ‘black box’. None of the voting machines being used in U.S. elections today can make that claim. Keep following our blog as we continue to release details about the next generation voting machine! Thanks for reading! Follow Blockchain Technologies Corp. on Twitter @blocktechcorp and check out our website at www.blockchaintechcorp.com. If you have any questions or comments please email info@blocktechcorp.com.